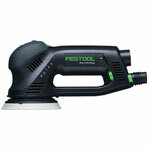 If you need fast material removal plus smooth fine sanding, but only want to buy one tool, a Festool Rotex RO 125 Sander is for you. Switch effortlessly from rotary random orbital motion for rough sanding and polishing (sheepskin, felt, and sponge accessories are available) to random orbital sanding motion for fine sanding. This gives you a powerful sander with tremendous refinement. The Jet Stream hole design of the sanding pad brings near total dust extraction to the job and greatly increases abrasive life. The removable edge protector permits sanding up to adjacent surfaces without damaging the cabinet sides or the sander. 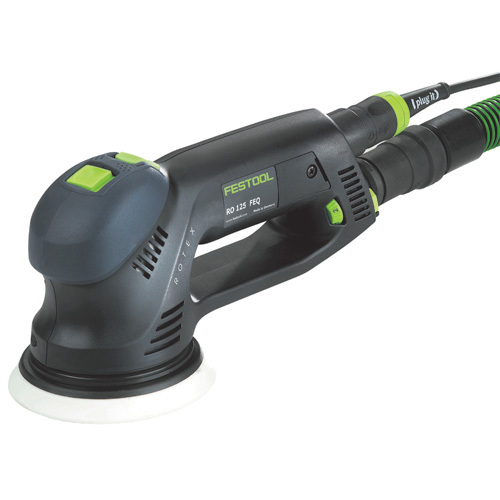 RO 125 EQ - This 5” sander gives you everything a Rotex sander has to offer, but in a smaller, lighter package. Weighing in at a comfortable 4.4 lbs, this unit does all the same coarse sanding, fine sanding, and polishing jobs as the bigger unit, but with the benefit of greater maneuverability in a wide variety of places and positions. The 4.2 amp (500W) motor ensures you’ll have plenty of power no matter what the task. Includes: Sander; StickFix Sanding Pad; Edge Protector; 1 Abrasive Sheet; and a Plug-It Cord; all in a T-LOC Systainer 2. Save 10% On A Dust Extractor! 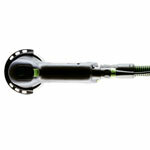 - Buy any Festool Power Tool at the same time and save 10% on the purchase price of the Extractor! Weight: 4.4 lbs. (2 kg).